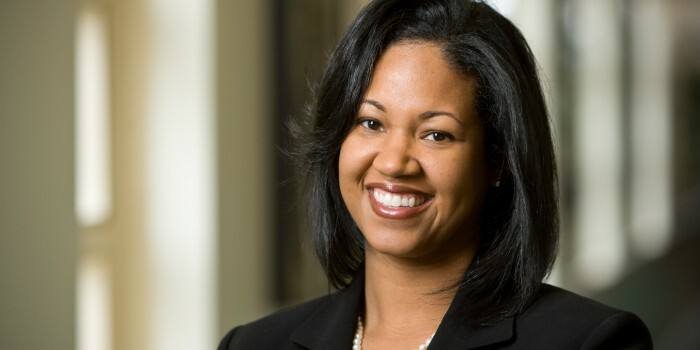 Professor Simmons, who joined the Wake Forest Law faculty in 2006, frequently makes presentations on law-enforcement issues and is a leader in the field of police accountability. Her articles have appeared in the American Criminial Law Review, the Ohio State Journal of Criminal Law, The Journal of Criminal Law and Criminology, the University of Alabama Law Review, and the Catholic University Law Review, and other legal journals. Her research focuses on using Cooperative Federalism principles and stakeholder participation to implement sustainable reforms in the criminal justice system. She writes in the areas of police and prosecutorial accountability, federal hate crimes legislation and enforcement, and racial profiling. She was elected to the American Law Institute in 2012. After receiving her J.D. from Harvard Law School, she worked as an associate at private law firms in Washington, D.C., where she participated in various aspects of civil litigation, white-collar criminal defense, and internal investigations. In 2003, she became an Assistant United States Attorney for the District of Columbia, involving her in a wide range of criminal prosecutions and in arguing and briefing appeals before the District of Columbia Court of Appeals. Following is the transcript to Thursday’s CNN interview. “BROOKE BALDWIN, CNN ANCHOR: You’re watching CNN. I’m Brooke Baldwin. Let me bring you back to my thought before we went to the White House. We were talking about the three Muslim students who were shot in death in North Carolina. Their families insisting that hate played a role in their death. Back with me is Kami Simmons, professor of law at Wake Forest, a hate crime expert. I believe my question was, essentially, police are investigating this as a possible hate crime. Who are they talking to, what are they looking at to determine if, in fact, it was? KAMI CHAVIS SIMMONS, DIRECTOR OF CRIMINAL JUSTICE PROGRAM, WAKE FOREST UNIVERSITY: Thank you, Brooke. I would just say that communities all across North Carolina are mourning the tragic death of these three students, and our hearts go out to them. Police officers at this point, who would they be speaking to? In terms of being able to prove whether or not this was a hate crime or a bias-motivated crime, the prosecutors would have to show the motive, would have to show that Craig Hicks killed these three students because of their religion or race, ethnicity. And so in order to do that, police would be talking to anyone affiliated with Craig Hicks. What we would want to know about that is whether or not he was — was he a member of any group that espoused any hatred related to these groups? Did he write in his diary — we have these on-line posts that he made generally about various groups. But they’re trying to see if there was a motive, if he killed them because of their religion. So I think also talking to people who had spoken to these three students about anything that they may have said about him. Did he use slurs against them, racial slurs against them, those types of things? BALDWIN: Here’s the thing. There are two very different stories here, two very different narratives. When you look at the suspect and his side, he’s got no record. We’ve heard from his ex-wife. She’s standing by him confident that this has nothing to do with any kind of bias. The family has never seen that. The family says definitely there was hate. Trouble started when one of the victims was wearing a head scarf and moved in, and I guess my question is, these are the facts. This is what police can gain. But how do they crawl inside this man’s heart and mind to determine, really, what he was thinking or feeling. SIMMONS: What you are talking about is the proof of violence-related crimes. It’s very difficult for prosecutors to do that. You most often won’t have a confession from someone saying, I killed this person because they were black or because they were Muslim. It’s very difficult. We have to look at a lot of the circumstantial evidence. You might have a suspect saying, I’m going to go out today. I feel like committing a crime against this group or that group. That can be used as evidence. It’s a very difficult burden. BALDWIN: A very high burden, as you point out. From CTV: The fatal shooting of three young Muslims in North Carolina earlier this week has led to a debate about whether the killings constitute hate crimes. Craig Stephen Hicks is charged with three counts of first-degree murder in the deaths of Deah Shaddy Barakat, 23, his wife Yusor Mohammad, 21, and Mohammad’s sister Razan Mohammad Abu-Salha, 19. Police in Chapel Hill have said publicly that, according to results of their preliminary investigation, a dispute over parking precipitated the shootings.